Confession: I have never had a pumpkin spice latte. Supplies: Stamps – Hero Arts, Right at Home, paper – Doodlebug Designs Boos & Brews, Neenah Classic Crest Solar White, Stampin’ Up! Crumb Cake, Pumpkin Pie, inks – VersaFine Vintage Sepia, VersaMark, dies – Hero Arts (whipped cream, cup), My Favorite Things (stitched rounded rectangle), corner punch – Stampin’ Up!, embossing powders – Stampendous Detail clear, Stampin’ Up! Classy Copper. 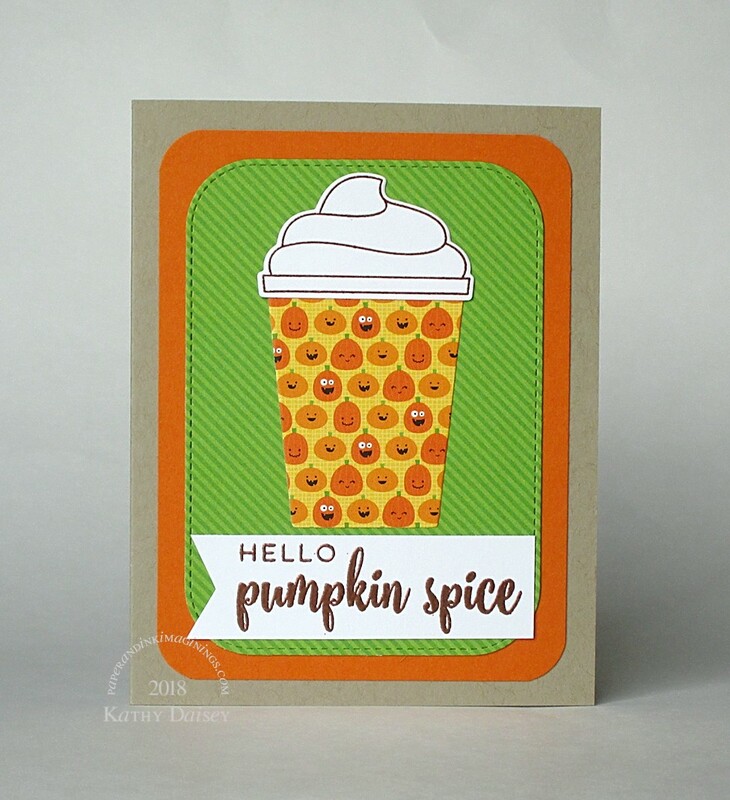 Categories: card, hello | Tags: card, Doodlebug Design Inc, Hero Arts, My Favorite Things, Neenah, Right At Home, Stampendous, Stampin' Up!, Tsukineko, VersaFine, VersaMark | Permalink. I saw that pumpkin spice and you had my attention! LOL LOVE this card!!!! Such a clever design! And you gotta get yourself a pumpkin spice latte – yum!!!! Beth, thank you for the kind words! I love pumpkin pie, pumpkin muffins…I would think I would like the pumpkin spice part of the pumpkin spice latte. BUT, I do not like coffee flavor, coffee aroma at all. So I have chosen to avoid it. Have a good weekend! Oh that might be a problem then LOL I actually like the pumpkin spice cappucino the best, rather than the latte, it’s much sweeter. I get the best at my local gas station of all places! (cheaper too ha ha!) Have a great day! Yes, I sent you a preview in messenger. 😉 How was that PSL?